I've enjoyed a great day with family and friends, but I'd be remiss if I let the day end without wishing in all a very happy holiday, however you celebrate it! Our hobby is often about the acquisition of new things, but I hope this season also brings you chances to enjoy what you already have - most important of which are the people that surround and love you! 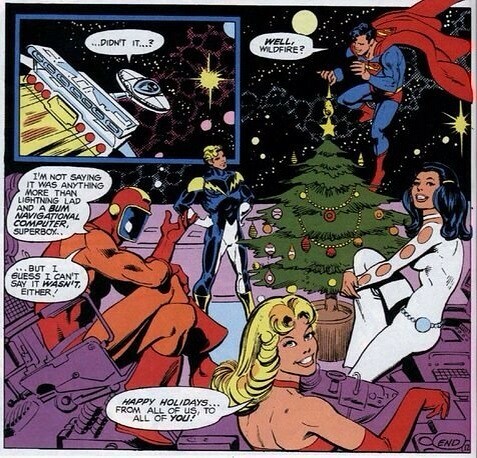 For this year's Christmas image, I thought I'd hand over to the Legion of Superheroes, seeing as they've been the toast of the town toy-wise this year. Happy holidays to you guys, too. The Deadpool toys came in the mail today - a nice late holiday gift. thanks!